CoolKit expands by 60% aiming to 'Sell more with the Marque'. Made in Britain member CoolKit announces expansion by a further 60 per cent. Burnley-based refrigeration specialist has expanded its manufacturing facilities - the second time in less than two years that the growing company has expanded its footprint. The latest deal has seen them secure new premises comprising of 25,000 square feet of industrial premises located on a high security site of 1.5 acres. This is in addition to their existing premises of 45,000 square feet on 2.5 acres. The new premises, close to their existing manufacturing facilities, will allow for expansion of van storage, displaying converted van stock, growth in production capacity, elimination of un-necessary vehicle logistics and overhead expenses. CoolKit has seen tremendous growth in recent years. In 2016, the manufacturing company’s revenues grew by 46 per cent, reaching £10million for the first time since it was established in 2005. The growth continues a remarkable run of six consecutive years of year-on-year revenue growth of nearly 40 per cent each year. CoolKit also saw an incredible employment boost in 2016, with the number of staff growing to 75 full time positions – a growth of 54 per cent – and it is hoped that more jobs will be created as a result of the latest purchase. The UK-based manufacturing operation can currently host up to 30 fridge van conversions at any one time, allowing the company to meet the high demands in the market for superior quality and reliable refrigerated vehicles. 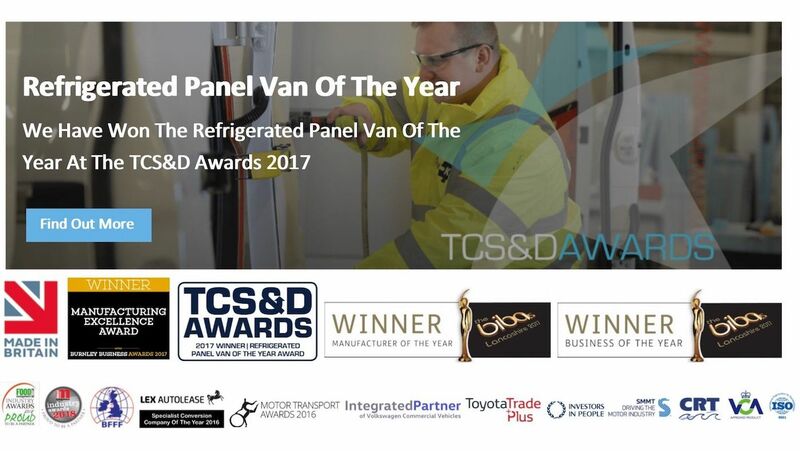 The news follows a successful year for CoolKit – who have recently received the ATP accreditation from the Department of Transport, received the Made in Britain accreditation, developed and launched new products, and have been named as partners with Toyota, Renault and Volkswagen. CoolKit worked with Forbes Solicitors, who worked tirelessly to expedite the transaction. About CoolKit Established in 2005, Burnley-based CoolKit is one of the UKs leading manufacturers of fridge van conversions. The innovative company uses its own bespoke insulated lining kits to create a superior quality and effective refrigerated vehicle. With over 6,000 conversions completed over the last 11 years, CoolKit has specific knowledge of fridge van requirements in many market sectors including food and drink, pet food, pharmaceuticals, floristry and catering, creating bespoke solutions to match customer requirements exactly.